Today's Fabergé object - a brooch. Made by workmaster Anna Ringe, sometime between 1908 and 1917! 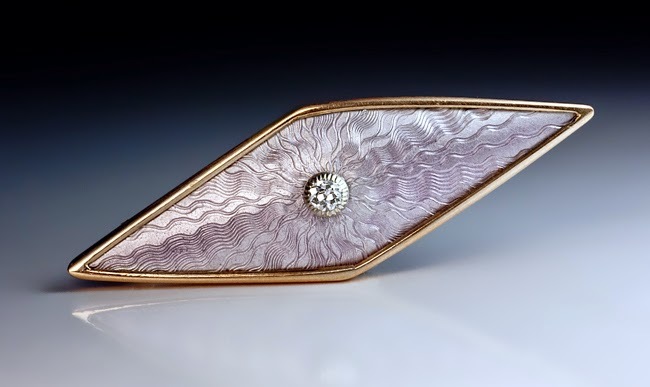 The brooch is lozenge-shaped, and covered in lavender purple enamel over a guilloché ground. The edges are gold, and in the center of it all sits a bezel-set diamond. The width of the brooch is 1.9'' (4.9 cm), and the prize for it is 4,900 USD. You find it at Romanov Russia!